Dr. Kiley Bliss is a licensed psychologist in the state of New York and a Board Certified Behavior Analyst (BCBA) who also holds a faculty appointment at New York Medical College. He earned a degree in school psychology where his training and experiences included cognitive, academic, and social-emotional evaluations in school and clinic settings, as well as academic, behavioral, and counseling intervention across home, school, and clinic settings. Dr. Bliss completed his pre-doctoral internship in Applied Behavior Analysis at the Marcus Autism Center in Atlanta, GA. There he received training in various day treatment programs: early intervention and skill acquisition, pediatric feeding disorders, and severe behavior disorders. 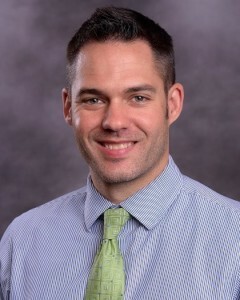 Dr. Bliss completed his post-doctoral training in Pediatric Psychology at the Munroe Meyer Institute at the University of Nebraska Medical Center. His experiences at Munroe Meyer included work in a developmental pediatrics clinic providing assessment and intervention services, as well as consultation and collaboration with various medical professionals. His experiences also included providing general pediatric psychology services to youth and families in a pediatric clinic. Dr. Bliss has provided traditional Applied Behavior Analysis services as a BCBA while consulting in schools, supervising therapists and BCBAs, and case managing home-based services with families of youth with autism spectrum disorder and related developmental disabilities. Bliss, K. J., & Cates, G. L. (2014, May). The effects of manipulating problem completion rates on assignment choice and preference consistency. Poster presented at the 2014 annual Applied Behavior Analysis International conference in Chicago, IL. Gayman, C. M., Bliss, K. J., Shillingsburg, M. A., Lee, B., & Kincaid, J. (2014, May). Increasing mand frame variability: Acquisition using textual prompts and lag schedules of reinforcement. Symposium presentation at the 2014 annual Applied Behavior Analysis International conference in Chicago, IL. Bliss, K. J., & Shillingsburg, M. A. (2013, May). Increasing mand frame repertoire: Acquisition using textual prompts and fading. Poster presented at the 2013 annual Applied Behavior Analysis International conference in Minneapolis, MN. Cates, G. L., & Bliss, K. J. (2012, February). Using single-case designs to evaluate academic interventions. Workshop presented at the National Association of School Psychologists. Philadelphia, PA.